In this article we will look at the Develop module panels and the functionality they offer. This is our first article dedicated to the Develop module, so it’s some kind of an overview of the interface. We will also publish detailed workflow tutorials in the upcoming posts. 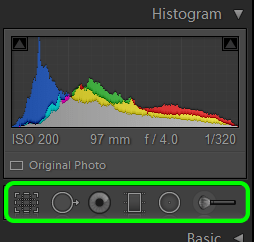 Once you click the Develop sign in the modules panel of the Lightroom you will be presented the main window with the selected image, two panel groups on the sides and the Filmstrip on the bottom. Here you can adjust your selected image and prepare it to be converted to your chosen format and exported to your desired location. On the left hand side you have a panel group that accommodates the following panels: Navigator, Presets, Snapshots, History and Collections. 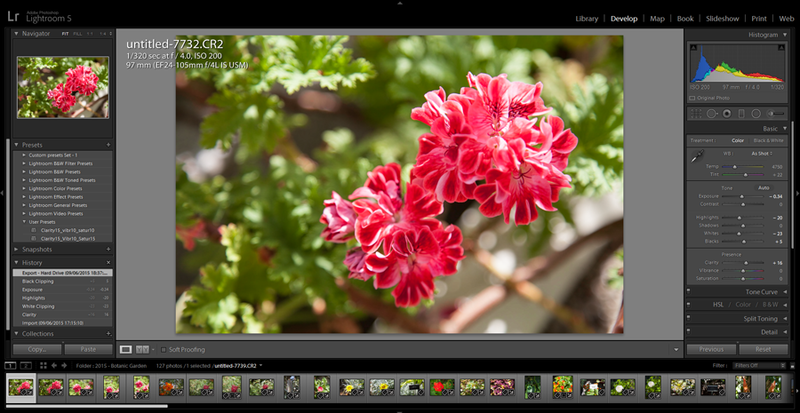 Navigator panel is present in any Lightroom module and shows a preview of the selected image. 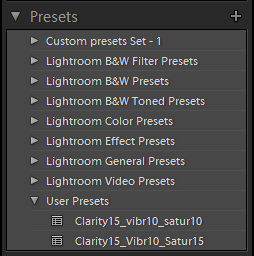 Presets panel contains all Lightroom presets that you have saved or imported. 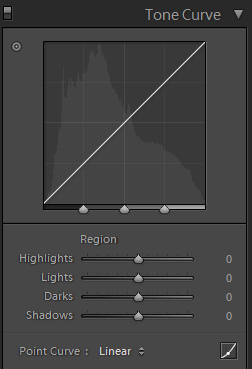 Standard presets that come bundled with Lightroom. Imported presets – the ones that you can import into your Lightroom install using presets files provided by third party. We will cover presets creating and importing process in one of the upcoming articles in more detail. Snapshots panel works pretty similar to the History panel – they both record history of changes you’ve done to the image. The difference is that the History panel is recording absolutely every step you take. While Snapshots won’t record anything at all until you actually tell it to do so. You can take or delete a snapshot by clicking the “+” or “-” icons respectively. For example, you can save some editing milestone by taking a snapshot and giving it a descriptive name. So, it’s easier to get right back to it without having to browse through all the History steps. History panel keeps a record of all actions taken on the selected file. Collections are a simple way to group certain photos without moving them from their actual folders. You can create Smart Collections and use certain criteria to group photos in them. Copy and Paste buttons on the bottom of this panel group allow copying settings of the active image and then pasting them to another image selected in the Filmstrip. 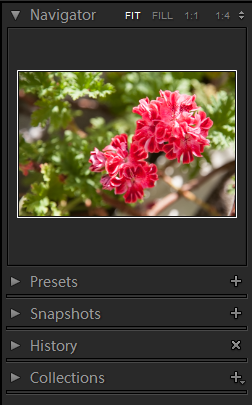 In the middle of the screen of Lightroom Develop module you have your active photo that you are working on. The right hand side panel group has the largest functionality in the whole variety of modules and offers 9 development panels: Histogram, Basic, Tone Curve, HSL / Color / B&W, Split Toning, Detail, Lens Corrections, Effects and Camera Calibration. 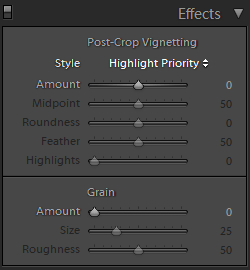 Crop Overlay (shortcut R) – for cropping and rotating the active image. Spot Removal (shortcut Q) – to remove spots, sensor dust or any other artefacts. Red Eye Correction (no shortcut) – as the name suggests it gets rid of red eye effect. Graduated Filter (shortcut M) – allows dragging a linear gradient mask across the image and applying selected settings only to that mask. Radial Filter (shortcut Shift+M) – applies a radial shaped mask that will exclude certain area from the settings applied to the rest of the image. Adjustment Brush (shortcut K) – allows to apply desired settings only to the area that was painted by the brush. Basic panel offers a variety of color and light balance settings. 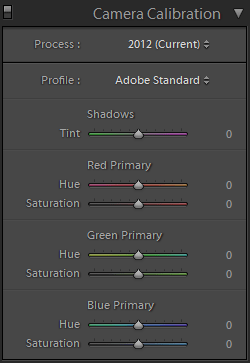 You can adjust white balance, exposure, contrast, shadows, highlights, saturation and other basic settings. 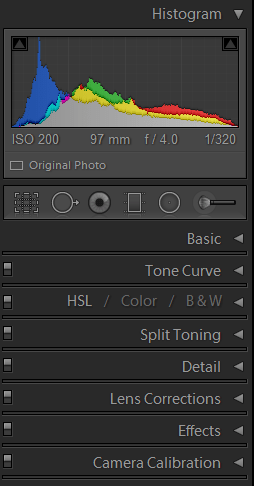 Tone Curve allows working with all tones of your image adjusting them pretty much in the same way as you would do in Adobe Camera Raw. 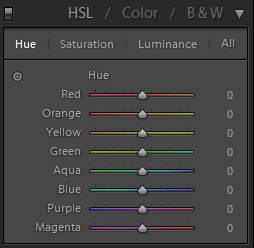 HSL which stands for Hue, Saturation and Luminance. Color and B&W which stands for Black and White. And they all allow working with image colors. 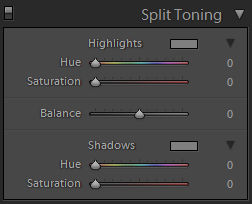 Split Toning panel has setting sliders for image highlights and shadows. 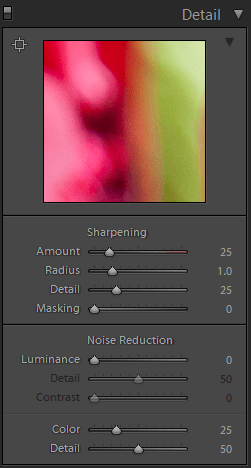 Detail panel provides tools for noise reduction and sharpening. Lens Corrections panel has the ability of correcting the image based on pre-loaded lens profiles, as well as offers manual distortion and vignetting adjustment sliders. Effects panel enables you to apply some Post-Crop Vignetting and Grain effects to your active image. 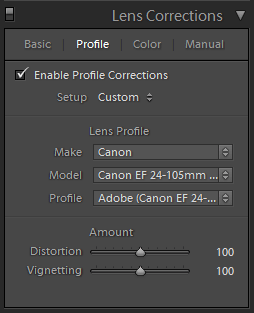 Camera Calibration panel allows calibrating camera parameters after choosing the desired color profile in the panel menu. 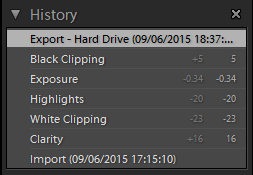 Basically you can adjust how Lightroom interprets the color imported from your camera. Previous – allows copying all the settings from previous image. This was an overview of the Adobe Lightroom Develop module interface panels, elements and tools. In the upcoming articles we will look at how to use them in practice to enhance your images. Stay tuned!